The first international Borneo Bird Race is a collaboration between Sabah and Brunei Tourism Boards, as well as Sandakan Borneo Bird Club. The event is held from 31st May until 9th June and recently was launched in Brunei. Sabah's Rainforest Discovery Centre will be part of the venue for this event. Eight teams from seven Asian countries will compete for the Brunei and Sabah leg champion titles, while the overall winning team will be awarded the Bornean Bristlehead trophy. They will be travelling through 1,000km of habitats, ranging from coastal regions, freshwater swamps and lowland forests to the hills and mountain ranges in both countries. Each team will spend 10 to 12 hours taking pictures and gathering information of more than 400 bird species found in Sabah. The participants will be racing at the Rainforest Discovery Centre on Thursday for the Sabah leg. The centre which is managed by the Sabah Forestry Department has recorded 300 species of birds in the area, including the Bornean bristlehead, black and crimson pitta, blue-headed pitta, giant pitta, black hornbill and rhinoceros hornbill. 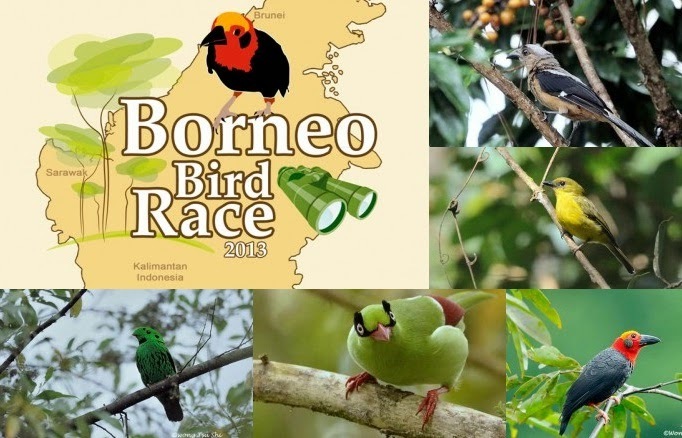 The race coincides with the 5th Borneo Bird Festival, which will be held from Friday to Sunday at the centre. Race chairman and Sandakan Borneo Bird Club vice-president Cede Prudente said the event was integral to promoting eco-tourism in the state. To encourage travel within Asia. Create awareness and conservation of the bird species unique to Borneo to the local community and to the global birding fraternities. To enhance and complement the “Heart of Borneo” initiative – Tourism Program. To increase arrival of eco-tourists and birdwatchers to Borneo. Further development of naturalist guide and birdwatching guide. Support good policies to improve nature tourism. This event is good in promoting Sabah's eco-tourism and strenghtening the cooperation between Sabah and Brunei.